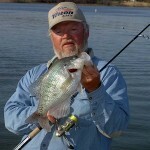 The easiest crappie to catch during the spawn are the ones on the bank. But since everyone fishes for these, to catch the really big crappie when they spawn, you must use different tactics from everyone else. 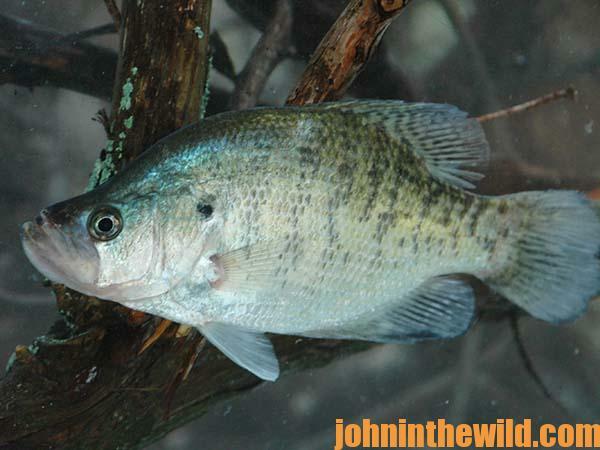 These three basic methods will catch the very-big spawning crappie. 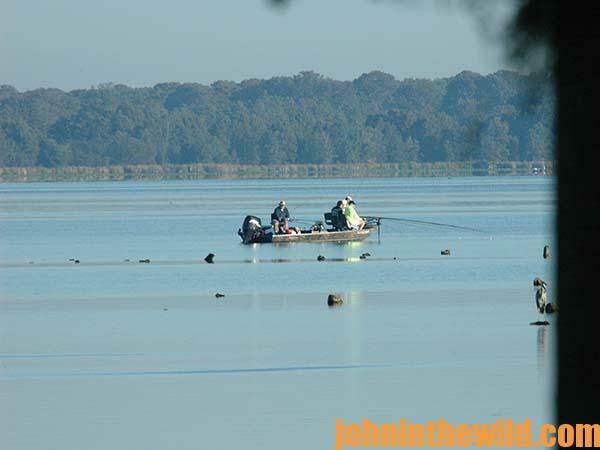 During the spring of the year when the fish bed in shallow water, most anglers will fish for crappie around some type of visible cover like trees, stumps, grass, bushes or logs. 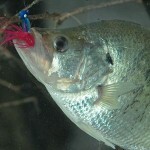 I’ll drop-fish down the bank with either minnows or jigs in areas where I don’t see visible cover in the water and most other crappie fisherman won’t fish. 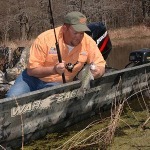 The crappie holding on this invisible cover often will bite more aggressively than the crappie holding on the cover where everyone else fishes. 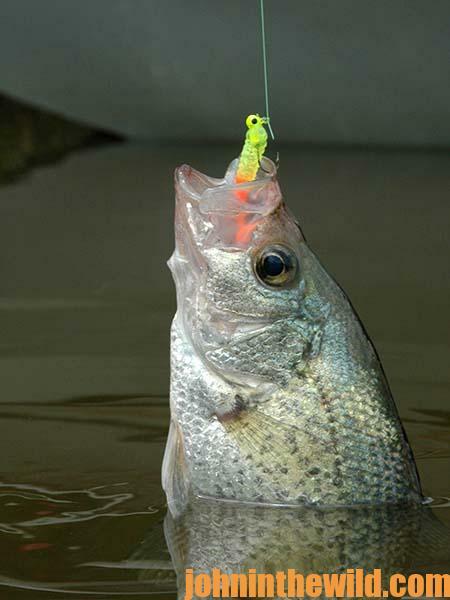 Most crappie fishermen won’t drop their lines into areas where they think they’ll get hung. 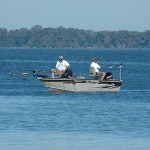 They think if they do hook crappie in that cover, they can’t pull them out of those spots. However, if you’ll use 20-pound test line, a powerful pole and a wire hook, you can drop your minnow or your jig in cover so thick that you only need a hole big enough through which your bait can drop. The 20-pound test line on a stiff pole will allow you to pull even the biggest crappie out of the cover to straighten-out your hook, if it gets hung. Then you can continue to fish. When you encounter finicky-biting crappie, oftentimes you can down-size your line and solicit more strikes. If the gorilla tactics don’t work, go back to that same thick cover, and use 4-pound-test line. Or, fish with 2- or 4-pound-test line in cover no one can see or in areas other anglers already have fished heavily. 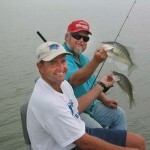 To learn more about crappie and how to fish for them from the masters of the sport, get “Crappie: How to Catch Them Spring and Summer” and “Reelfoot Lake: How to Fish for Crappie, Bass, Bluegills and Catfish & Hunt for Ducks.” Click here to get these books.